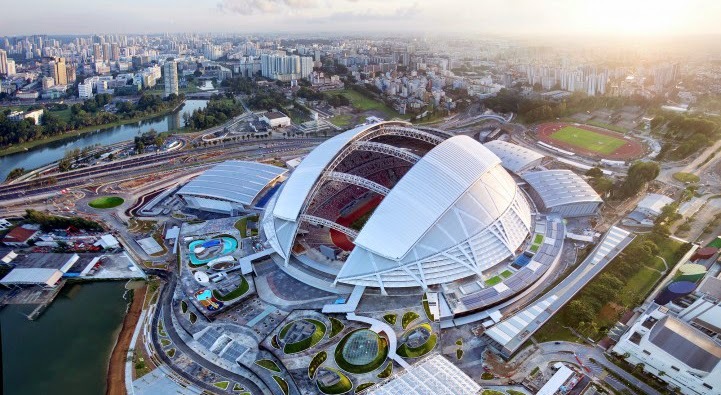 The Singapore National Stadium's architecturally appealing roof structure is comprised of a series of 3D triangular trusses. For this design, Arup needed to fully integrate both the architectural and structural design. They established a common interface to transfer the parametric intelligence between the various software. Software that included Digital Projects, Rhino, and Oasys GSA (Arup's structural analysis package). The linking optimized the roof's form with the varied truss depths, layout to arch rise, and other geometry defining parameters. With this efficiency, the team could iterate through the varied possible design solutions.